We are proud to offer lawn mowing services to homes across St. John’s and surrounding areas. Mowing a lawn is something of a chore to most people. We view lawn mowing as a blend of art, to be practiced to perfection. Every lawn is unique and that’s why we custom tailor our approach to best meet the specific needs of your lawn. Our unique lawn mowing approach takes into account variables like grass variety, varying mowing patterns, and ideal cut height. 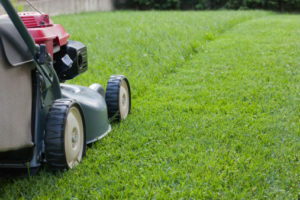 Majority of the people cut their grass too shot in order to avoid cutting it so often, however, it is best to leave your grass a little on the long side. Mowing your grass too short can result in stress, bold spots, out of control weeds and not to mention infestation. Cutting your lawn at the right height will benefit it to grow deeper roots which require less watering and will keep it healthy. This will have positive effects on both the environment as well as your wallet. Our lawn mowing technicians are skilled who have good knowledge in lawn mowing and maintenance. They know grass, and will deliver a perfect cut each and every time. They will also trim hedges and edge your lawn. Most importantly, they stand by their work and you will be happy to stand by it too. If that sounds like the service you are looking for, give us a call to get a quote. We’d love to take care of your lawn!